America is seeing a health revolution. Grocery stores are selling green juices instead of soda and many restaurant menus now flag “gluten free” or “healthier” options. And people looking to stay healthy typically opt for salads. Using nutrition data from ESHA Research (named for its founders Elizabeth Stewart Hands and Associates), HealthGrove crunched the numbers to find 25 salads that have more calories than a 530-calorie McDonald’s Big Mac. These are just a few of the most calorific salads out there, so you’ll surprised how many blow the iconic fast-food staple out of the water. If you, for some reason, decide to opt for this salad instead of a stack of Denny’s famous pancakes, you won’t be cutting very many calories. Just because the name of this salad is “spinach” doesn’t mean you’re eating air. The blue cheese, dried cranberries and candied walnuts make it more calorific than a Big Mac. Rule of thumb: Opting for a salad at a fast food joint isn’t necessarily a healthier choice than a burger. This salad from Burger King is 680 calories, much more than a McDonald’s Big Mac. Like the taco salad from Taco Bell, this salad from the Original Green Burrito is just a deconstructed taco with a sprig of lettuce. No wonder it’s 810 calories. 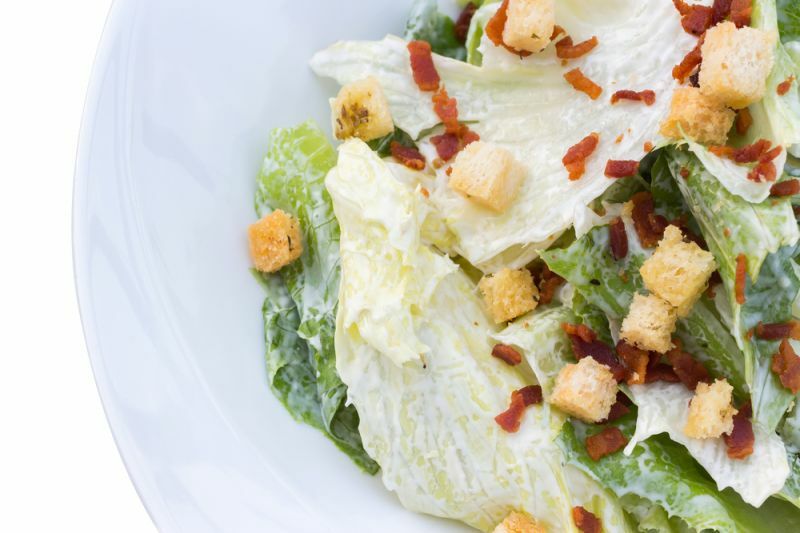 A grilled chicken caesar salad at Bertucci’s may seem like a light meal or even a side. But it is much more calorific than a Big Mac, and has a similar nutritional value to a chicken taco salad from the Original Green Burrito. The sour cream, cheese and taco shell on this salad make it more calorific than a Big Mac. Fish is usually a good, lean option at many restaurants. But in this case, this fish option won’t do your waistline any favors. Between this salad’s 1430 milligrams of sodium and 42 grams of fat, if you want a light option you’re better off not ordering anything at all. The word “pasta” in any salad name should be a tip-off to its nutritional value. At 880 calories, the Carl’s Junior Beef Taco Salad is a poor excuse for a salad. This salad is loaded with extra less-than-healthy toppings and “crispy” (essentially just fried) chicken, adding up to a whopping 960 calories. If you’re on a common 1,200-calorie diet, this salad will take care of the entire day. You already know that the word “taco” and “salad” are a risky combination. Adding “grande” to the mix is a recipe for disaster — a 1,280-calorie disaster, to be exact. And the award for the most calorific taco salad on the list is from Jason’s Deli. The added chili isn’t doing your diet any favors.